The Bruery has been cranking out some of the world’s most revered barrel-aged and experimental beers from Orange County, California since its founding in 2008. 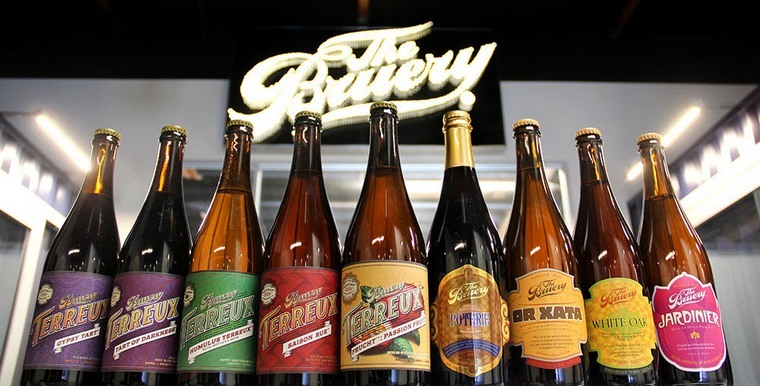 Beers from The Bruery and Bruery Terreux can be found throughout California. Nationally, the footprint extends to 28 other states and Washington, D.C. But with a decade of producing style-defying, flavor-driven beers at the highest quality under its belt, the company isn’t looking for breaking into the next new frontier. It’s doubling down right here, increasing support and resources to partners within California. Meet Liz Bush, the company’s new regional sales manager. Liz joined the company at the start of the year to focus on support for the Northern California market. The timing is perfect for the increased support, as the number of craft breweries in the state has tripled over the last five years, growing to over 900 breweries near the end of 2017. It’s brought about a flurry of choices to customers like never before, especially in the growing hazy IPA category. Quite simply, it’s never been a better time to Relax. And Liz can help with that. Literally. This spring, fresh 4-packs of Relax [it’s just a hazy IPA]™ will be rolling off the canning line and into craft beer stores throughout Southern California and Northern California. It’s the first distributed can release outside of the brewery from the hoppy offshoot of The Bruery, aptly named Offshoot Beer Co. Relax [it’s just a hazy IPA] embraces the new way to enjoy IPA – unfiltered, fresh and full of hop flavor and aromatics… without the bitterness to stand in the way of kicking back with a juicy beer. It features a combination of Citra, Centennial, Simcoe and Amarillo hops, imparting fruity, tropical and citrusy notes to complement the round, soft mouthfeel of a hazy IPA. 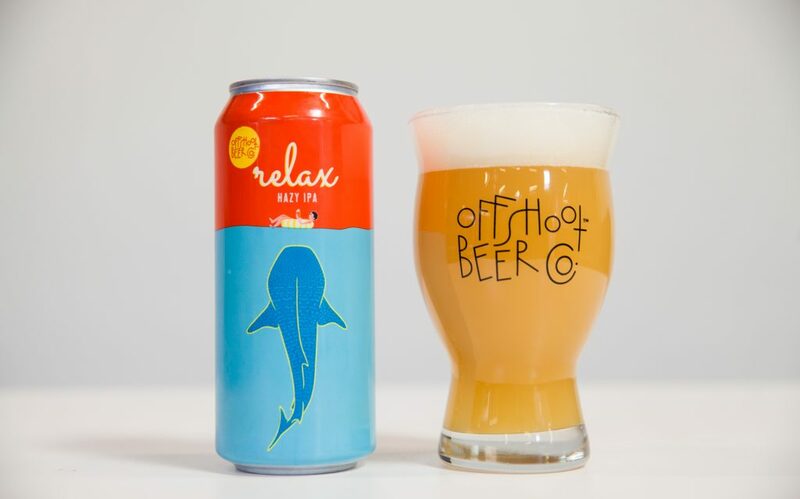 In addition to fresh 4-packs of Relax [it’s just a hazy IPA], kegs of limited, hoppy releases from Offshoot Beer Co. are expected to be available monthly to select California markets as well. 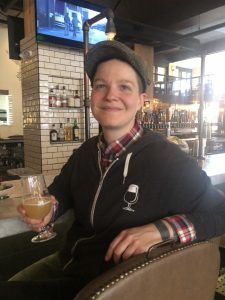 The Offshoot Beer Co. brand has filled a niche in allowing the company to branch off in new directions and explore the art of developing hop-forward beers. At the same time, it’s allowed the company to continue to intensify its passion for producing experimental and barrel-aged beers from The Bruery as well as sour and wild beers from Bruery Terreux. Each brand received a medal at the Great American Beer Festival in recent years – gold for Mischief in 2016 and silver for Train to Beersel from Bruery Terreux in 2017. 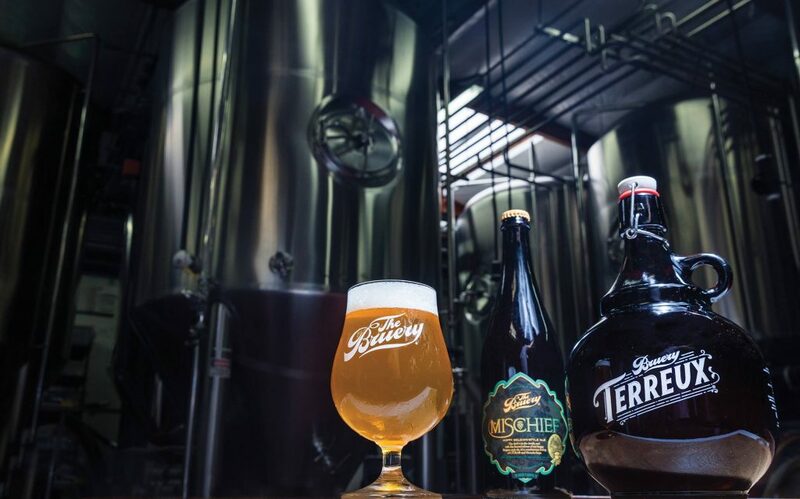 The fan-favorite Mischief, a hoppy, fruity, Belgian-style ale from The Bruery, continues to be a year-round offering, featuring a winning combination of Citra and Motueka hops. Or Xata, a former seasonal release from The Bruery, inspired by the flavors found in horchata, will also now be available year-round. Near the middle of the year, The Bruery is expected to introduce 4-packs of 16-oz. cans of both Mischief and Or Xata. Fans of the bigger, barrel-aged beers from The Bruery have two new 2018 releases to look forward to this spring: White Chocolate, a bourbon barrel-aged wheatwine with cacao nibs and vanilla beans, and Etain, the company’s 10th anniversary ale, aged in bourbon barrels. For those who want to take a walk on the sour side, the company is rolling out a brand new, year-round offering from Bruery Terreux: Orchard Wit, featured in the blog banner. It’s a tart wheat beer brewed with orange zest and coriander, and aged in an oak foeder for several months. It’s designed to showcase the culture of the farmhouse-style brewery through maturation in oak and fermentation with several yeast strains and house souring culture. Suffice to say, the portfolio of offerings from The Bruery now includes a flavor for every palate with hoppy beers from Offshoot Beer Co. and sour and wild beers from Bruery Terreux. To learn more, contact Liz Bush, Northern California Regional Sales Representative, at 415-686-3226 or via email at liz.bush@thebruery.com.